Fear not, cinephiles as Netflix is going to give Martin Scorsese’s The Irishman a theatrical release. The streaming service has been a haven for big director’s lately whose ambitious projects have had a tough time finding homes at major studios, given their potentially questionable chances of becoming hits at the box office. But Netflix rarely does theatrical rollouts, which is where the tradeoff comes in. But they’ve been working to change that a bit recently and it looks like Scorsese is going to pull his weight to get The Irishman the big screen release it deserves. This comes from Robert De Niro, who is reuniting with the director for what will be their eighth movie together, and arguably their most ambitious to date. The Irishman will see De Niro de-aged, alongside Al Pacino, who is working with Martin Scorsese (surprisingly) for the first time, and Joe Pesci, who is coming out of retirement for the movie. Speaking at the Marrakech Film Festival, De Niro confirmed that Netflix will release the big-budget, prestige hitman flick in theaters, but that negotiations regarding that release are ongoing. Here’s what De Niro had to say about it. It sounds like The Irishman will first hit select theaters, likely in bigger cities throughout the United States, before arriving on Netflix to stream at a later date. Previously, the streaming service virtually ignored theatrical releases altogether, only doing the bare minimum to qualify for the Academy Awards, when absolutely necessary. But Martin Scorsese is going to want this movie seen on the big screen and that was surely a sticking point when he agreed to make the movie for a streaming service, as opposed to a traditional studio. The movie itself is based on the book I Heard You Paint Houses about hitman Frank Sheeran, who has ties to the death of Jimmy Hoffa. 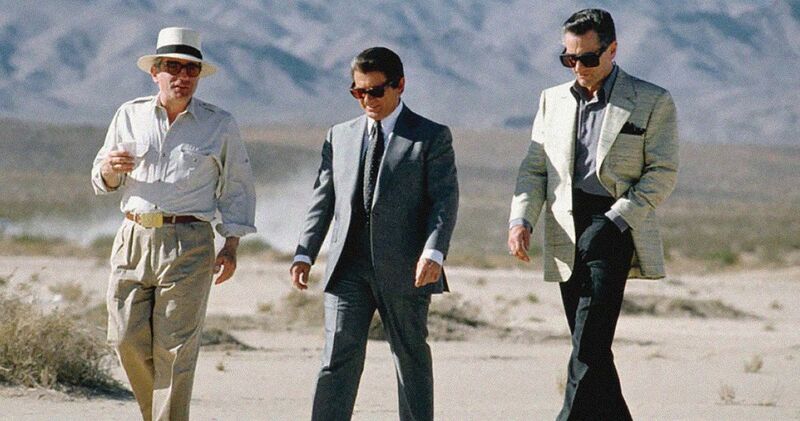 The story will see the main characters in their younger years primarily, meaning that Netflix is having to shell out big money for Industrial Light and Magic to make Robert De Niro, Al Pacino and Joe Pesci look like their younger selves. Reportedly, the movie comes with a $140 million price tag, the kind of money spent on blockbusters like Black Panther. According to De Niro, Netflix didn’t get in the way and let them make the movie their way. That technology doesn’t come cheap. For Netflix, this is clearly a play aimed at awards season. Other studios couldn’t shell out that kind of money without seeing major returns at the box office. In this case, most people will stream the movie at home for no extra cash. But a great many movie lovers out there will want to see The Irishman on the big screen and it looks like they will have the chance to do so. This news was previously reported by The Hollywood Reporter.